ONM: The last quarter of 2013 has turned out to be quite amazing for platform gaming fans. But that does mean that you've got some stuff competition. Are you worried about going up against the likes of Rayman Legends? Michael Kelbaugh: Honestly speaking, we are incredibly passionate about one thing and that's making a great game for our fans to enjoy. Our goal is to make our fans and customers happy, and to surprise and to satisfy them; we never compare our efforts to others. If anything, we compare and learn from other Nintendo developers, like Miyamoto-san who we continue to learn from. On that note however, we do play a lot of games and we are fans of the Rayman series. The team at Ubisoft Montpellier really did a really great job! 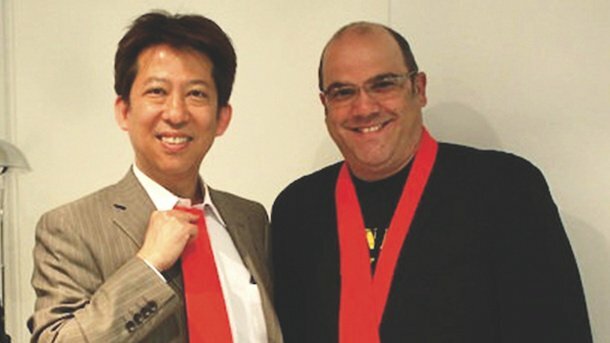 Kensuke Tanabe: As Michael says, we try to do what we can to make our games better for players, rather than what we could do as compared to other games. We believe that if we make an effort to bring out the best of the game and it makes players happy, then the result will take care of itself. So, of course we care about the performance of our title, in the sense of how satisfied players are with it, but not in how it is considered compared to other games. ONM: Both the US team members and NCL production team obviously felt like there was still more to come from the DKC franchise. Do you feel like you've managed to get all those great ideas into this game... or do you still have more ideas for another game? MK: As a game developer, I've felt that you always leave something on the drawing board that you wish you could have gotten in, and you're always tormented by the thought "Wouldn't it be cool if we had included...?" I really believe however that those thoughts inspire future games and ideas that you use on the next game. For example; the dynamic 3D Camera we used in Donkey Kong Country: Tropical Freeze was something we wanted to work into Donkey Kong Country Returns. We just didn't have the time so we implemented it into Donkey Kong Country: Tropical Freeze. There are also a host of really great ideas that we simply didn't have the bandwidth to get into Donkey Kong Country: Tropical Freeze; you'll just have to wait and see where they end up. KT: Again, exactly as Michael said, it is nearly impossible to put every idea that we come up with into our games; these ideas vary from small ones to big ones. To tell you one of my personal experiences, I worked on the overall concept, storyline and structure of The Legend of Zelda: A Link to the Past and there were some ideas that didn't make it. Out of these ideas, there was one I really wanted to see in a game and we finally decided to use it as one of the basic concepts for the setting of The Legend of Zelda: Link's Awakening a few years later (this was, in fact, that the world ends when a massive egg breaks on top of a mountain). 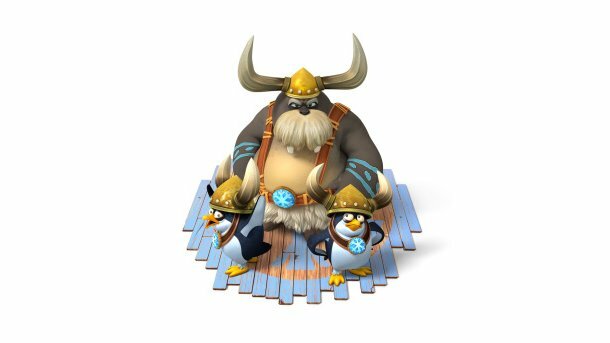 As for Donkey Kong Country: Tropical Freeze, there are quite a few more things I feel that we could have done with the Animal Buddies. If we ever make another Donkey Kong Country title again, I would certainly want to make more use of them! 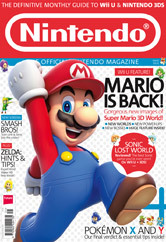 ONM: Is there a particular level or moment you're personally excited for our readers to play? Can you tell us a little bit about it? MK: It's hard to give just a single example so; I'll give you three personal favourites. 6-6 Cliffside Slide is an extremely exciting level. It's like jumping right into the middle of an action movie: the music, the stylised silhouette foreground and bone chillingly freezing background really adds exciting atmosphere and tension to the level. This combined with the constant vertical movement makes for a remarkable level. 4-4 Irate Eight is an underwater level featuring an eight-legged friend that wants nothing more than to grab you and squeeze you; it's very climactic and a lot of fun. Finally, 3-3 Frantic Fields where there's a little bit of Texas twister in this level, some comedy to boot and it's quite challenging. 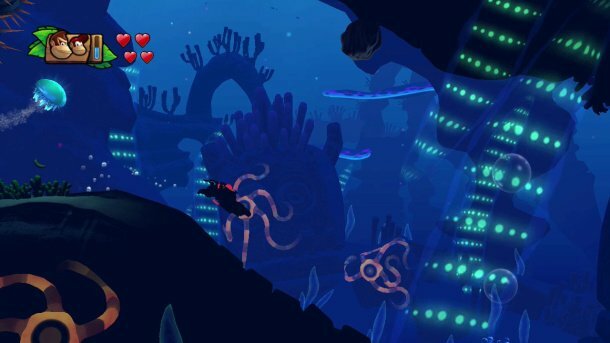 KT: In this title, we created a World that consists of only underwater levels - World 4. Players are able to go through an experience that did not exist in Donkey Kong Country Returns, so I would certainly like you to play this World. My favourite level is also 4-4 Irate Eight as Michael said and also 3-6 Cannon Canyon that offers new dynamic 3D Camera movements. ONM: Were there any problems with Donkey Kong Country Returns that you think you've fixed in Tropical Freeze? What do you think you've most improved upon? 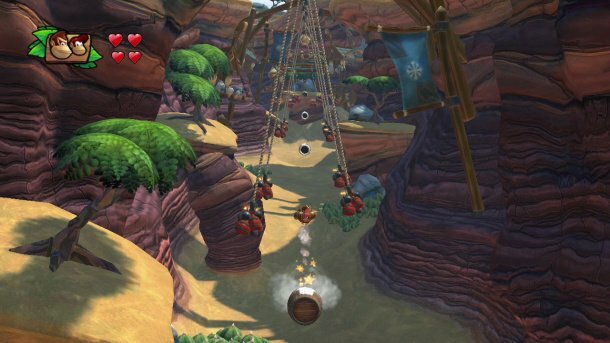 MK: I can't say there were problems, however there were refinements made in Donkey Kong Country: Tropical Freeze that weren't in Donkey Kong Country Returns. For example, we spent a lot of time working on fur as requested by Iwata-san. The end result was gorgeous fur used that we used all over the game. You'll notice it on Donkey Kong of course. We spent a lot of time and resources on increasing animation quality; you'll notice that in even the smallest of characters, trees, grass and FX. We also added David Wise, the original Donkey Kong Country composer, to our composition efforts. This, combined with Kenji Yamamoto and Scott Petersen, lent itself to a simply amazing soundtrack and special effects effort. KT: I heard many users saying that Donkey Kong Country Returns was fun, but hard. We did anticipate such opinions because we purposefully kept the difficulty of Donkey Kong Country Returns as high as in the old Donkey Kong Country games. What we didn't expect was that not many players would want to use the Super Guide, which we had created as an option for people having trouble with the game. We learned that players want to clear levels by themselves in the end. Given this experience, we decided to add some features that mean even casual players will be able to complete the whole game. But this doesn't mean that the difficulty of the game has been lowered at all. ONM: Some of DKCR's harder moments had us turning the air blue, and we loved it. Can we expect the same level of swear-inducing difficulty this time round? MK: Hah! You bet! You may recall that the original Donkey Kong Country series on the SNES was hard. Very hard! If we were to make Donkey Kong Country: Tropical Freeze easier, it really wouldn't be a Donkey Kong Country game, would it? So, in staying true to the franchise and to the Donkey Kong Country fans, Donkey Kong Country: Tropical Freeze does have some challenging aspects. However, we've implemented features to help you play at whatever difficulty level you choose. With Green Balloon and Kong POW features, you really choose the difficulty level you want to play at and decide whether you need help or not. KT: Yes, you can, especially in the K Levels. I'd hang around with Cranky Kong, respect to the elders. Lilt gets a new flavour, but will Wii U get a saviour? Save up to 31% when you subscribe to our print or digital edition. DLC and F2P - where does Nintendo stand? Has Masahiro Sakurai revealed Smash Bros. most powerful move? Nintendo Co., Ltd. is the owner of certain copyright which subsists and trade marks and other intellectual property rights in certain content, characters, artwork, logos, scripts and representations used in this publication. All rights are expressly recognised and they are used by Future Publishing Limited under licence © 2006 Nintendo Co., Ltd. All rights reserved. "Nintendo", "International Nintendo Licensed Product" "Nintendo DS", "Nintendo DS Lite", "Nintendo DSi", "Nintendo 3DS", "Nintendo DSi XL", "Nintendo 3DS XL", "Wii" and "Wii U" and the associated logos are the trademarks of Nintendo Co. Ltd. All rights reserved.